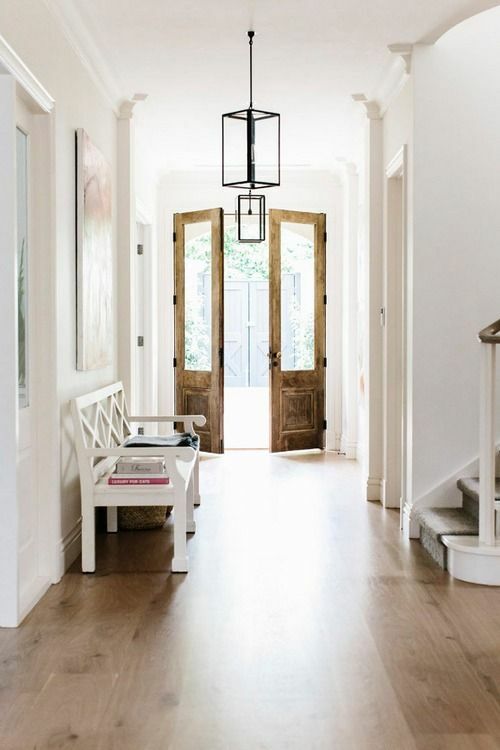 1) If you have a beautiful natural timber feature door I would really just leave it as it is. Don’t read any further – just let this be a feature inside as it is for your exterior. 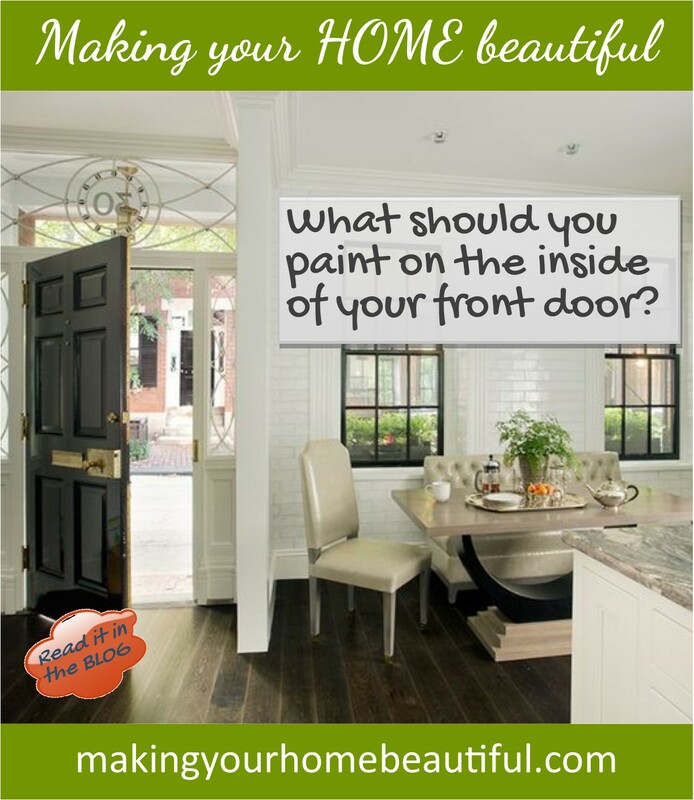 2) If however you have a painted door, you need to remember that once the door is closed, the back of it may just look like any other door in the house. 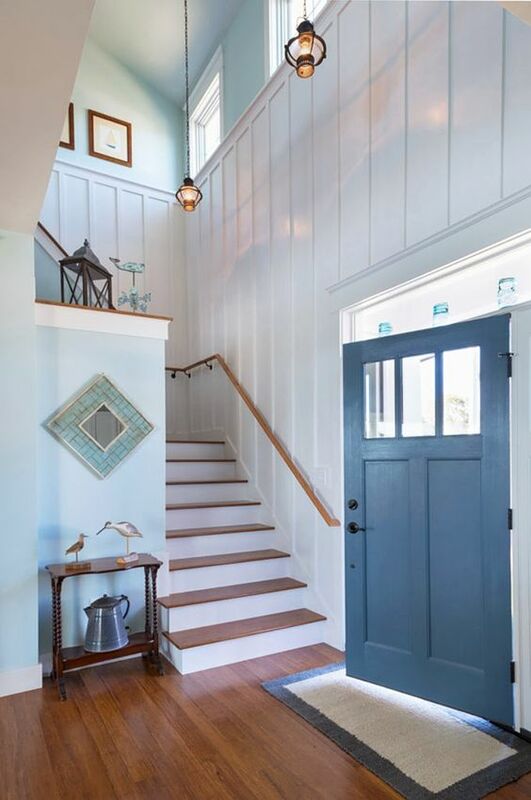 If your entrance hallway has lots of other doors leading from it, you may like to consider just painting it in the same white/off white that you have used for those doors. This keeps the look simple and is an elegant solution. 3) But what if you love that front door colour that you chose. It’s your favourite and it took ages to select. 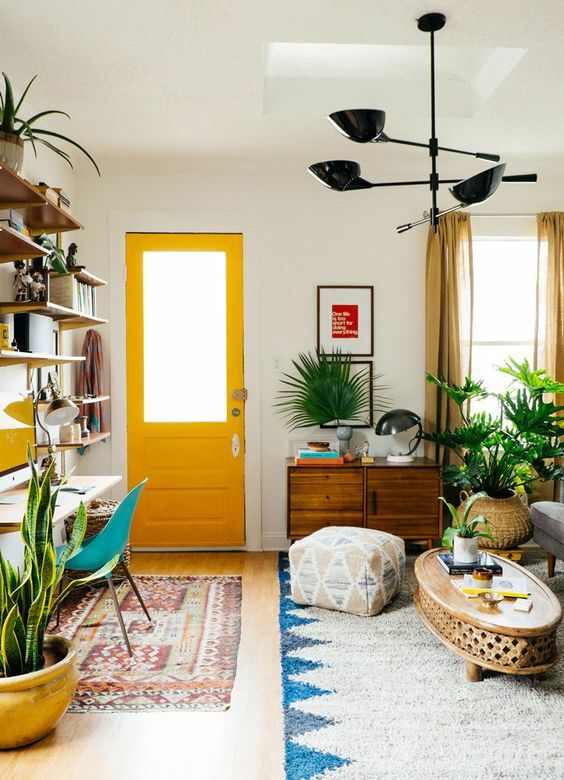 Being your favourite colour, you are also using this palette inside, in which case, it is absolutely fine to paint the interior of your front door, the same as the outside colour. It doesn’t matter that the rest of the doors throughout your house are white. As this is a feature in a neutral setting outside, so it is for inside. 4) However you may have selected a classic gloss black for your front door which of course is a great option and one that never goes out of style but somehow the seriousness of this doesn’t translate into your interior scheme. 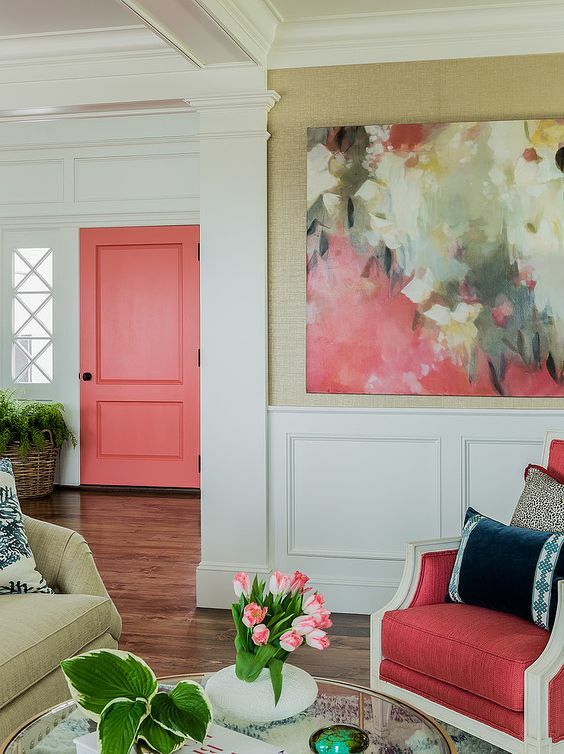 In this case you can consider your interior colour palette and add a splash of your chosen accent to the inside of your front door. This can make a great statement in a hallway scheme when you often don’t have many other design elements and opportunities to bring in colour. 5) In smaller homes, the front door will often open directly into the living area. You may want to disguise this, in which case you can paint the door an off white or in the same colour that you have painted your walls. Or you may like to treat the door as an opportunity to bring in colour. Feature walls have had their day so if you want to introduce a splash of colour, the inside of your front door can be a great surface to paint. If you are painting the inside of your front door a different colour then just paint the actual door. Leave the architrave the same as the rest of the house. I hope from this article that you can see that there isn’t a right or wrong answer. Just consider whether you want to make it a statement, bring in some colour or keep the look simple – it’s really up to you! 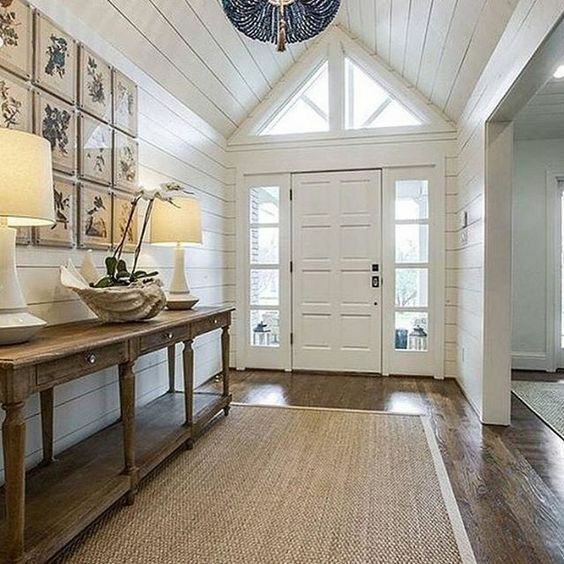 My Pinterest boards called Entrance ideas and Welcoming Hallways have heaps of inspiration and I would love you to give me your feedback or questions in the comments section below.